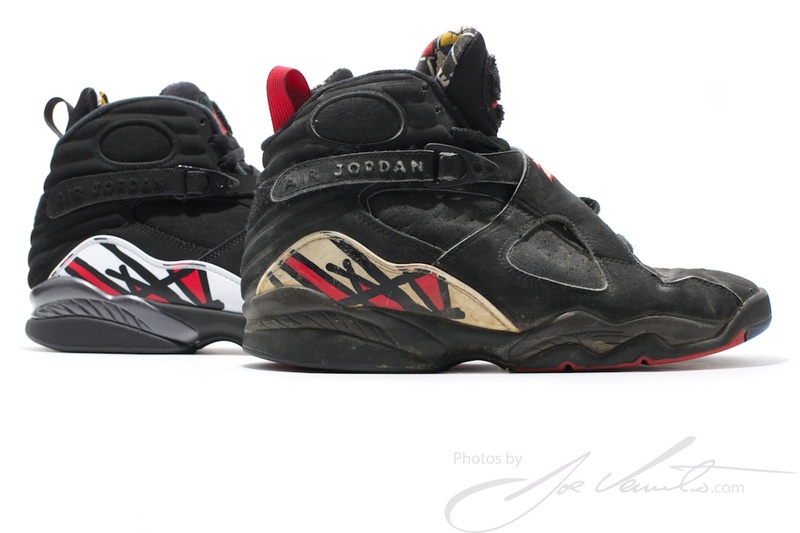 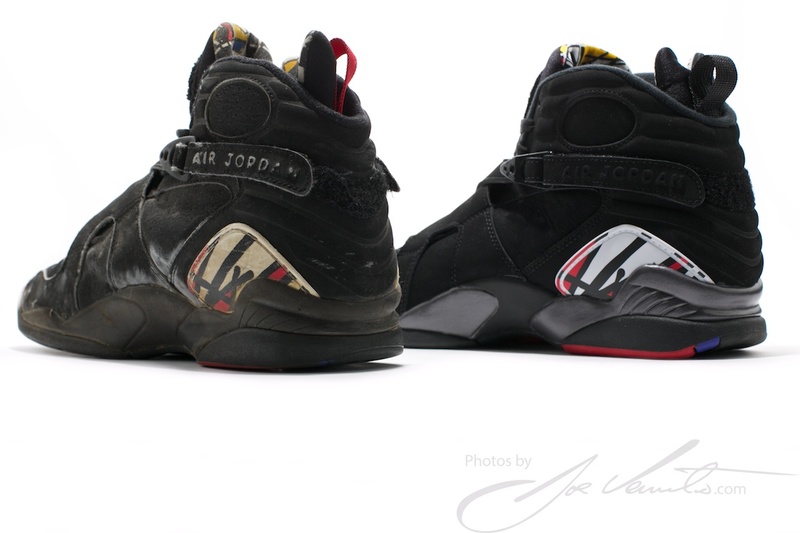 Every time an OG colorway is trotted back out, sneakerheads love to play the comparison game. 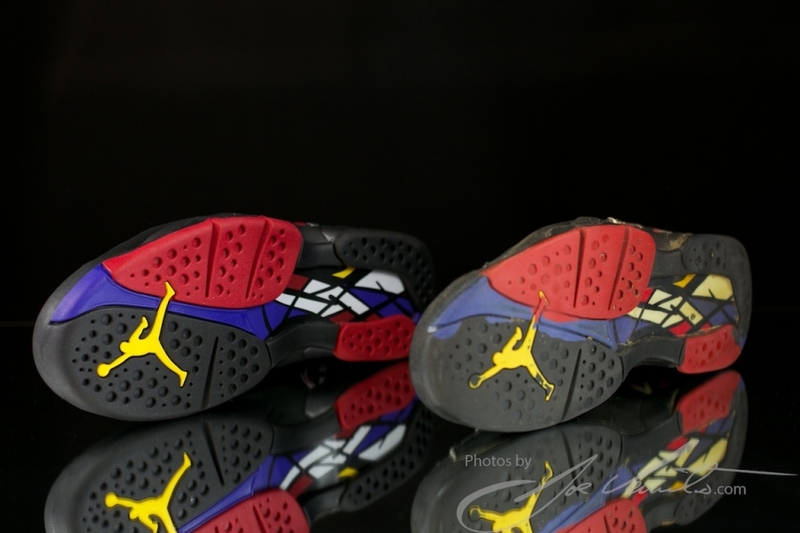 The Air Jordan VIII “Playoffs” is no different, and luckily we’ve got a set of shots to satisfy that hunger. 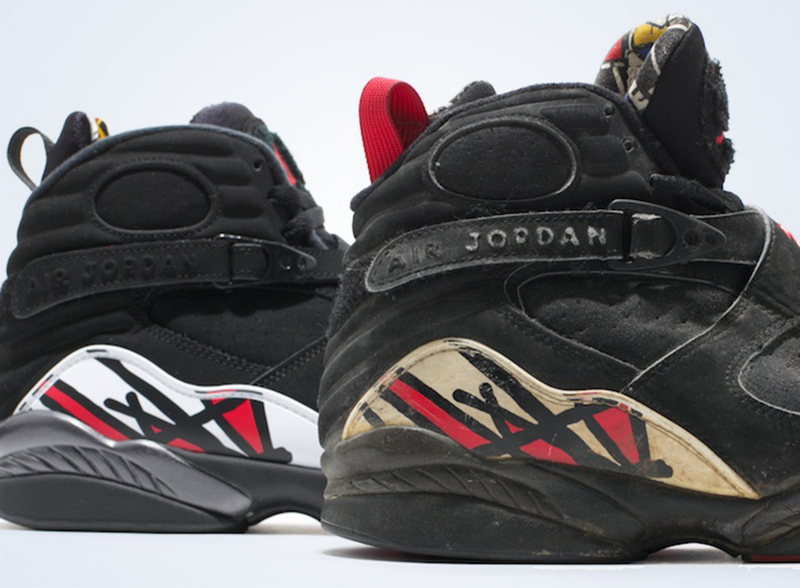 As you’ll see once you click through for the entire gallery, this retro ends up as one of the more faithful ones that Jordan Brand has produced. 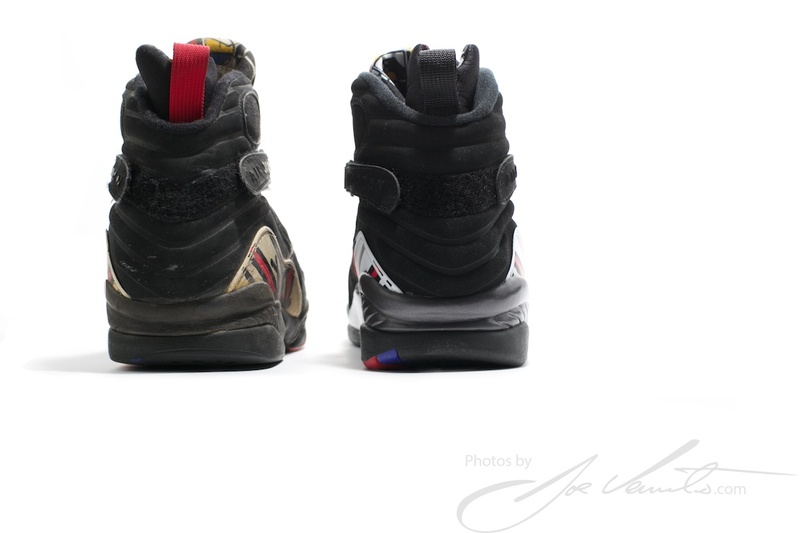 The big difference here, indeed one of the only ones, are the pull tabs-the original has red where the 2013 has black. 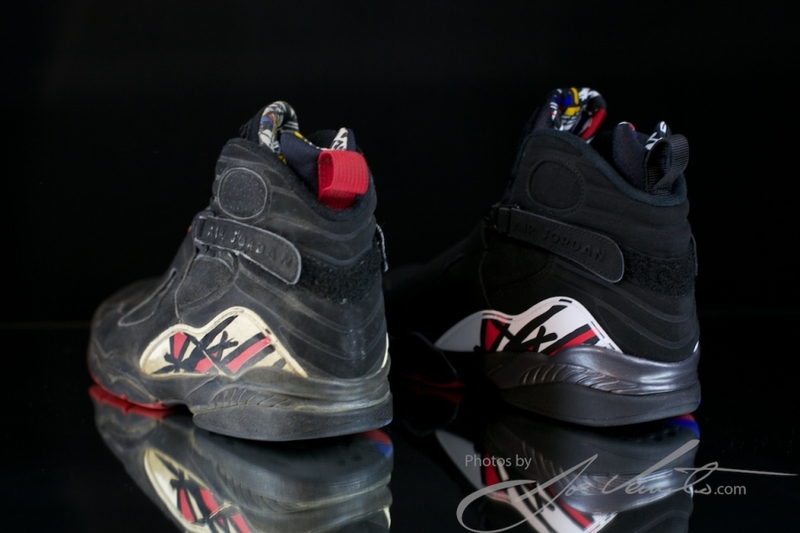 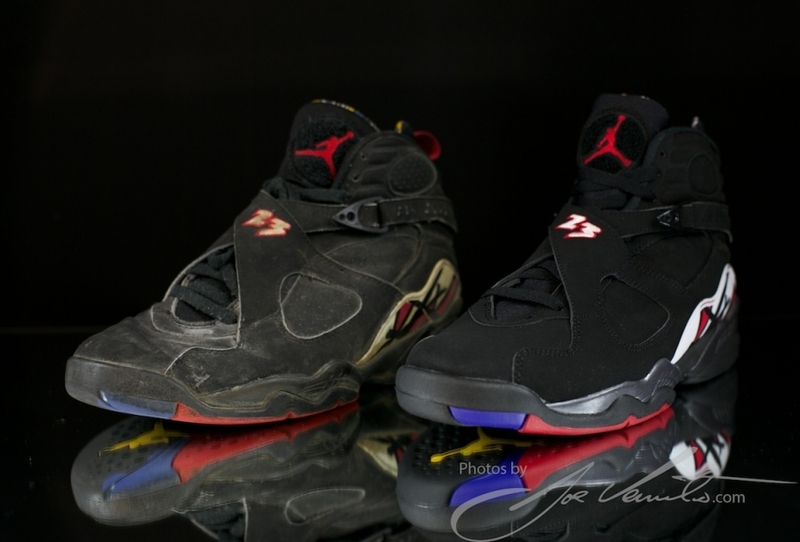 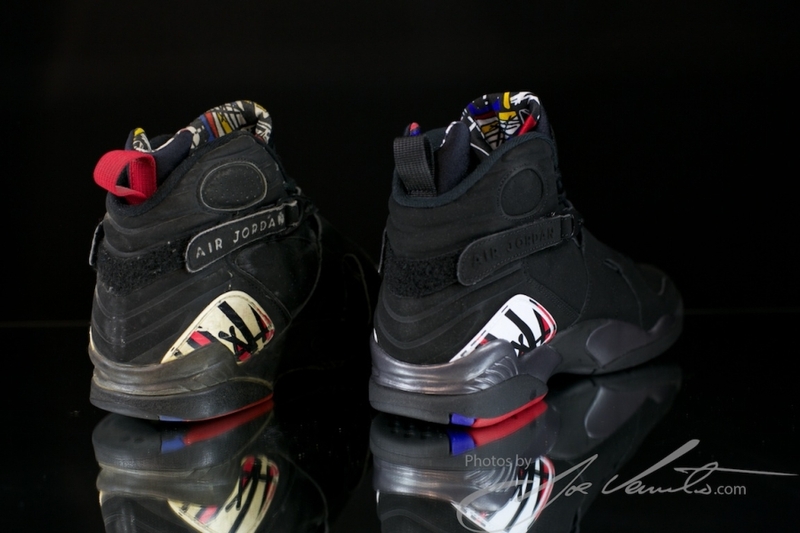 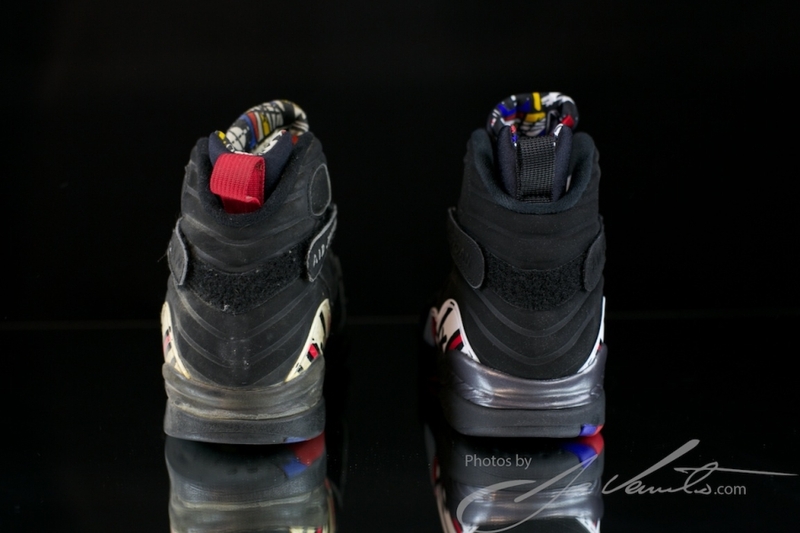 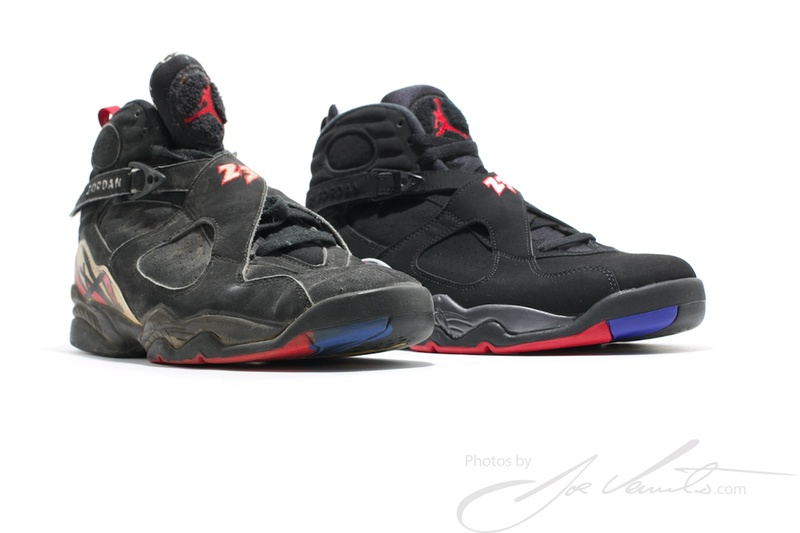 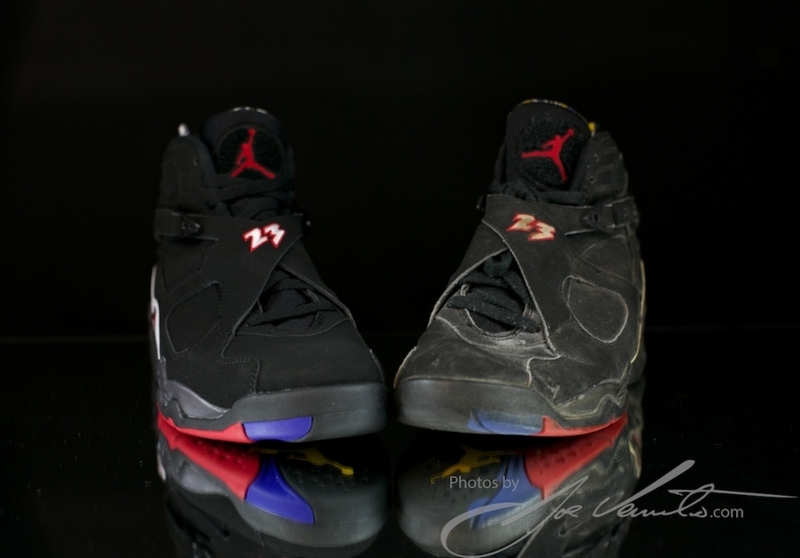 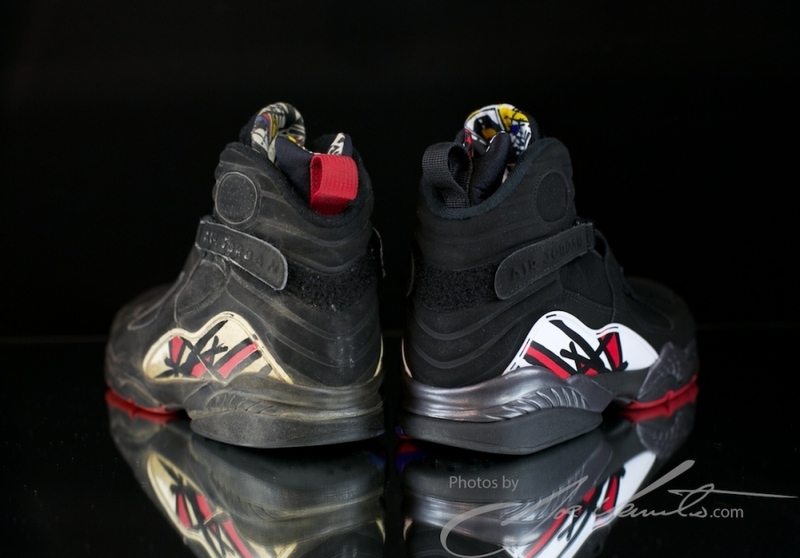 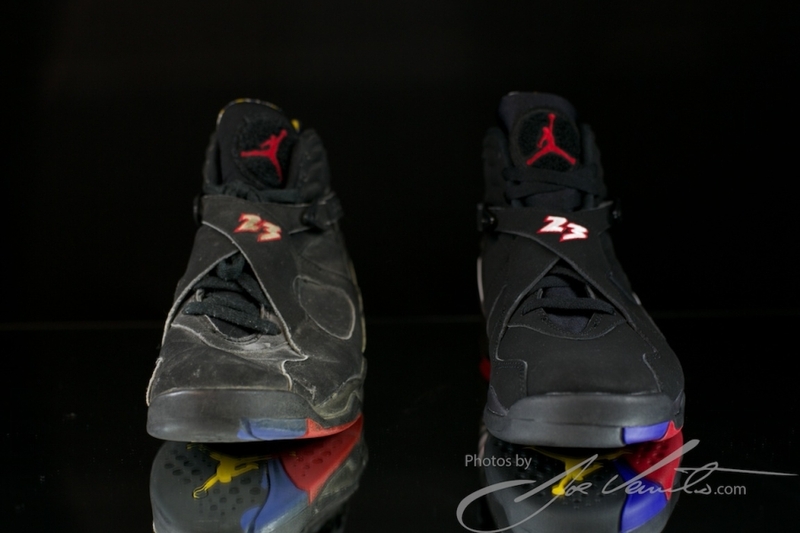 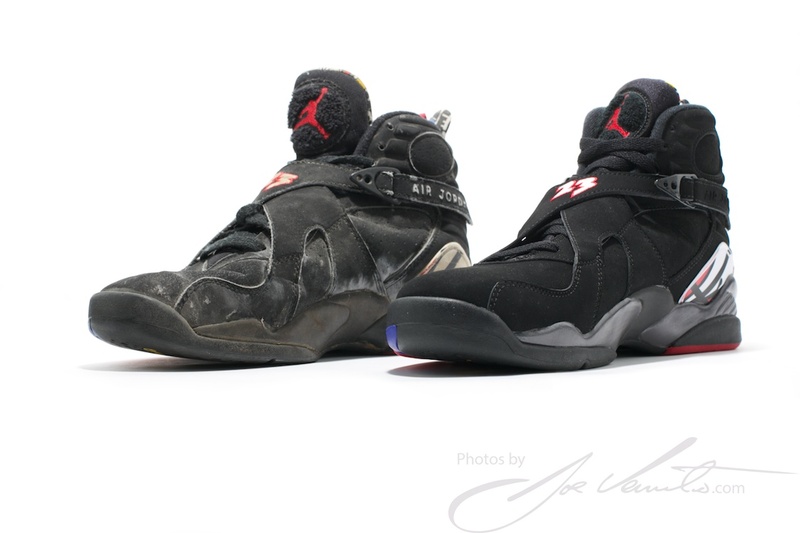 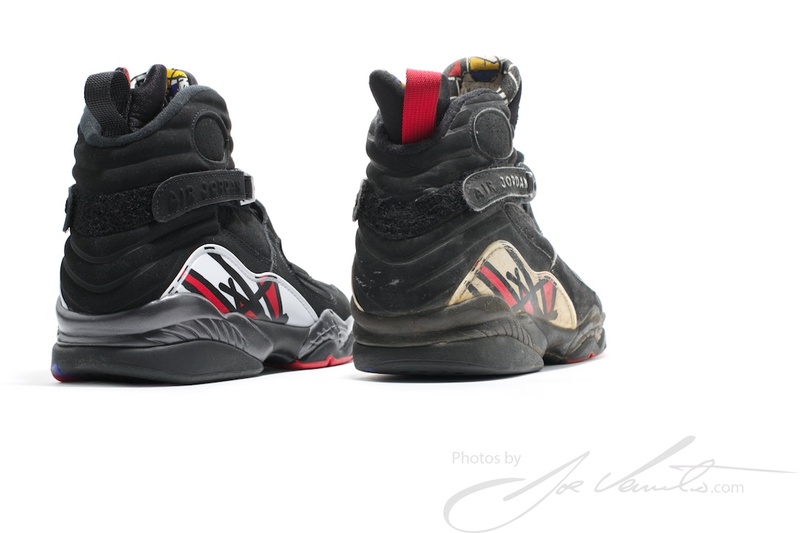 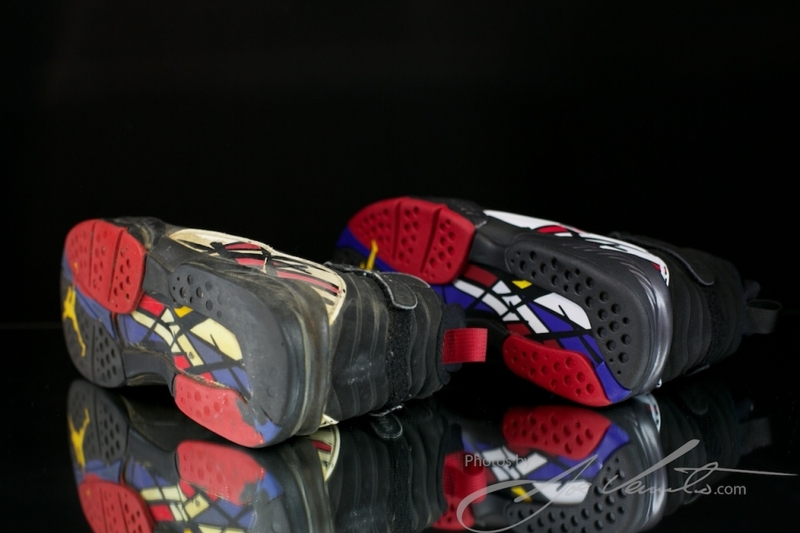 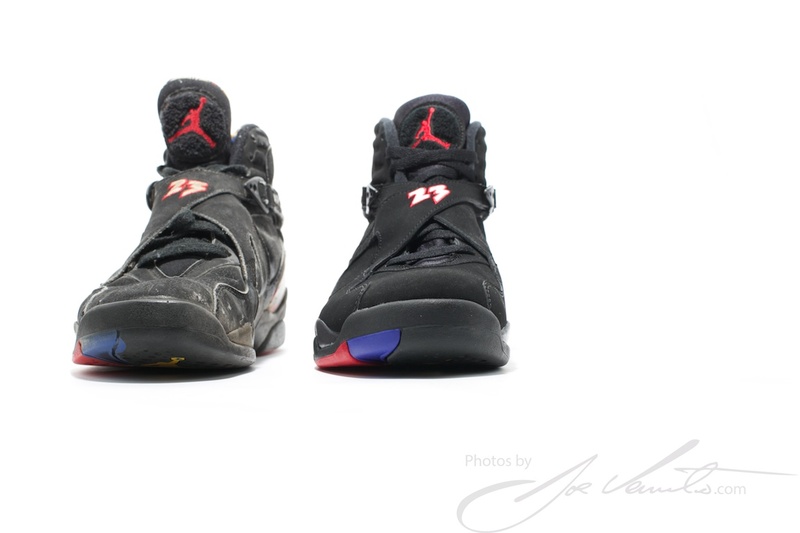 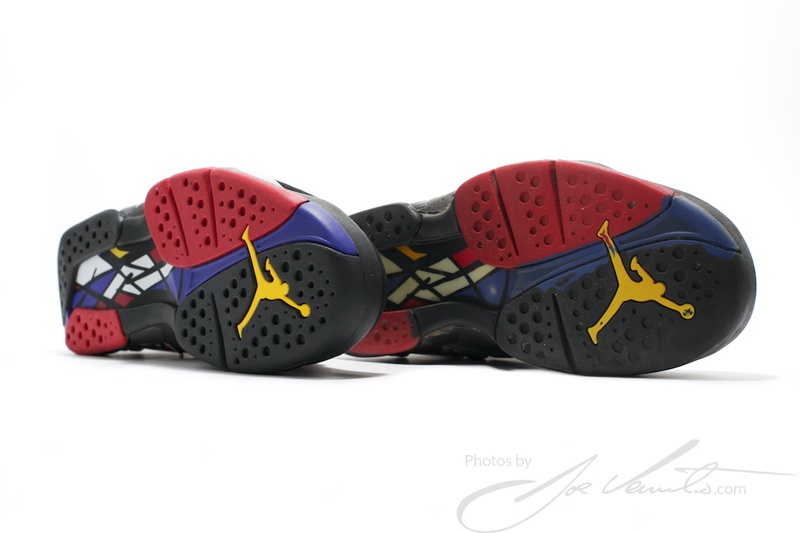 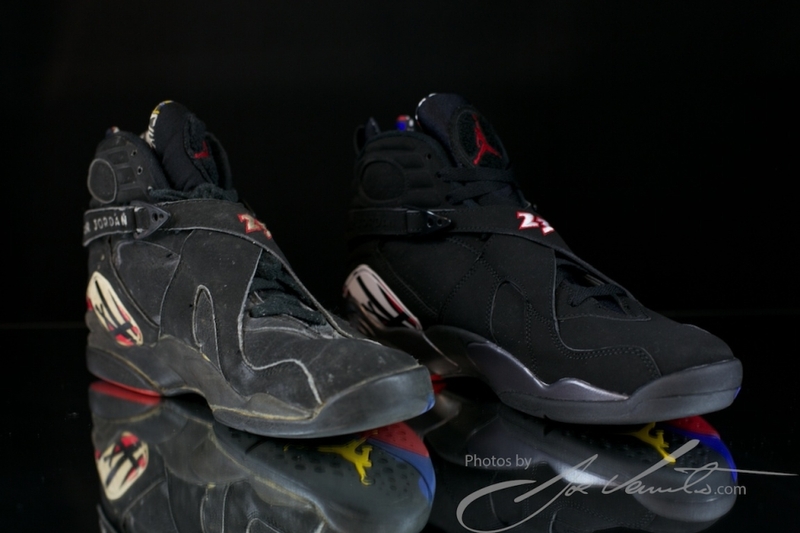 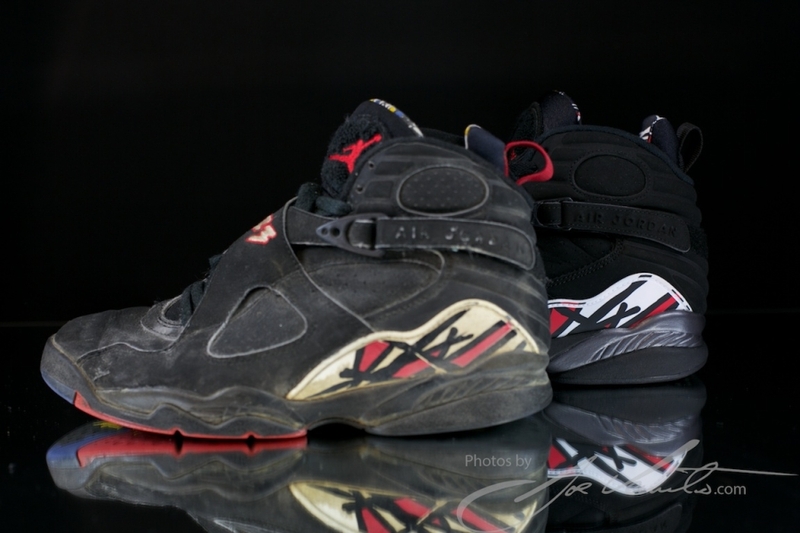 Get with us after the jump for all the details and let us know if the 2013 Air Jordan VIII “Playoffs” is close enough to the original for your liking. 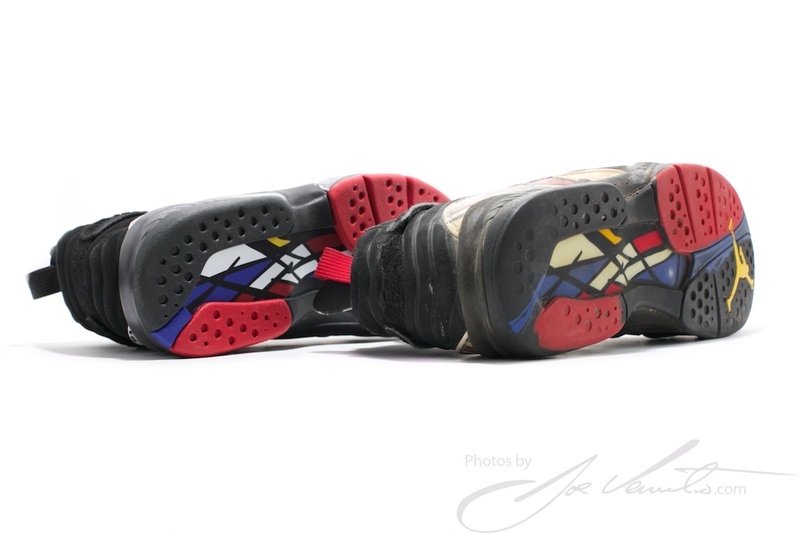 Thanks to Joe Venuto for the photos!